2.) 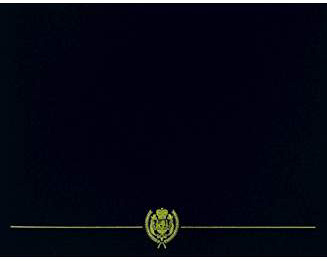 A photocopy of your letter or orders assigning you, individually, by name to a new level of Responsibility or Supervisory role in a mission or duty that does not include rank or paygrade promotion. 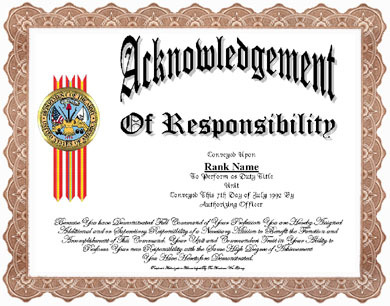 The Acknowledgement of Responsibility award is authorized to servicepersons who individually demonstrate special or unique ability among their cadre to manage singular assignments and are tasked to perform special or supervisory duties that do not involve rank or rating promotion or paygrade increase, but are not documented by Letter of Appreciation or Letter of Commendation.